We recommend all enrolled families download our smartphone app. 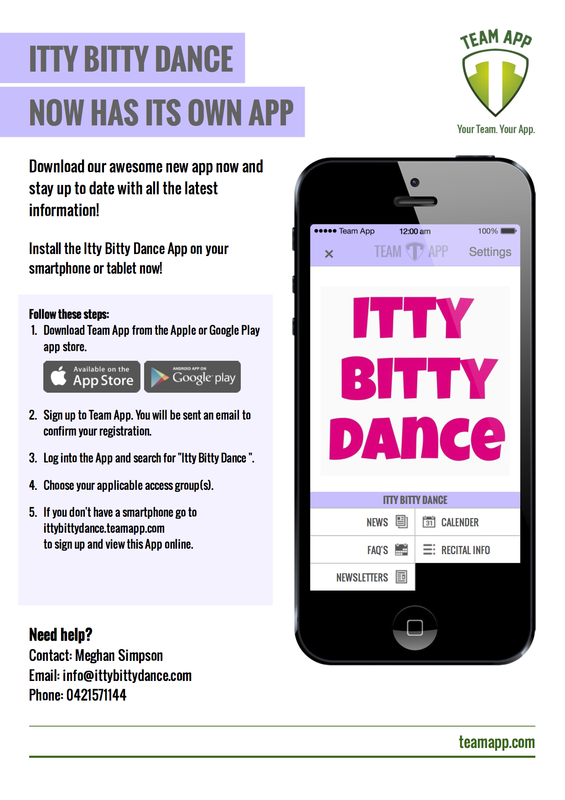 Its the easiest way for you to keep up to date with all the exciting happenings at Itty Bitty Dance. Its 100% FREE and easy to download.